Plastic was invented just a little over 100 years ago - that's fairly recent in the timeline of the human race, let alone in the history of the world. Our ancestors sure lived without plastic for a loooooooooong time. Why have we become so dependent on this material which is inarguably bad for our planet? Plastic straws bother us. Billions of these nasties are used and thoughtlessly discarded every day. Our alternative bamboo straws are the only 100% from-nature option in reusable drinking straws. Handmade from whole bamboo, you are literally sipping from nature. Bamboo is one of the Earth's fastest growing plants, which means this is a very sustainable material. 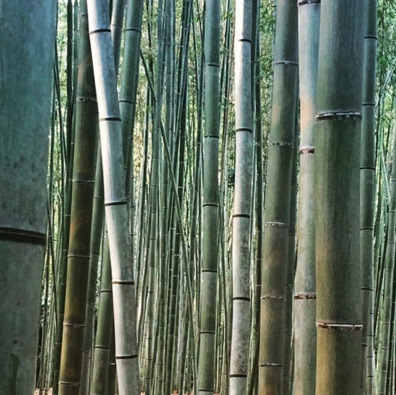 Bamboo is strong - you could build a house out of solely bamboo! Bamboo is a toughie and super kid-friendly! No sharp edges, no risk of breakage - simply toss in your bag and you're ready to go. No need to worry about the little ones either - bamboo straws are the safest in alternative straws. Using wholly natural products is a connection to nature that is hard to come by, and a little meditation on a conscious way of living. Try it, you'll love it!